Our platform provides in-depth customer analytics and reporting including customer spending, customer ages, frequency of visits, top customers and more. 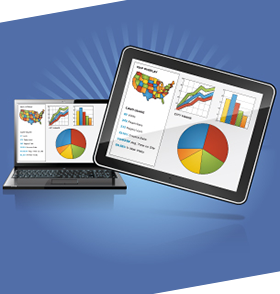 The information gained from these analytics gives your business a competitive edge in developing products and services. PowerCard Analytics can combine data from PowerCard programs and other external sources of your choice, organizing it into custom dashboards and reports. Our "black box" approach provides you with a more efficient system to view multiple aspects of your restaurant. This approach takes the mystery out of your data and turns that in to actionable items - something you can use to increase sales. The analytics you receive from PowerCard will influence both everyday and long-term decisions, help you make better use of your marketing budget and ultimately results in guests coming in more often because they love your restaurant experience.